PART III - This could be the most import part of the sequence you read. Pay close attention and solicit help from someone without cognitive impairment if necessary. Rule #1 - Know what programs are available. (Cooper and Miller, 2010), we discuss how these programs work and don’t work for people with disability. Programs such as Social Security Disability Insurance (SSDI), for people with a work history, and Supplemental Security Income (SSI), for the disabled without a work history, are available, but it isn't as simple as that. The process has many rules (see links provided at the end). So what happens when you fall off your own fiscal cliff? It is imperative that you have a paper trail (medical record) that documents specifics on your ability to function. For instance, multiple sclerosis is in the "Listing of Impairments" (Soc Sec Blue Book) and now fibromyalgia is too. However, that does not mean one with MS, FMS, or any other listing of impairment automatically qualifies for SSDI or SSI. The progression of the disease and how it affects you personally and your ability to perform work (SSDI) is what makes you eligible for benefits. Rule #2 - If it isn't in your medical record, it’s not so. All of your symptoms and life modifications should be presented to your physician for your medical record. Doctors are very busy and one that supports you should be glad to have any of the various recording tools we present in our book. (Cooper and Miller 2010) This information will also be helpful if you need to appeal, most initial applications are turned down. See chapter seven for: WINNING A SSDI APPEAL - Getting Turned Down—What Next? Rule #3 - Provide evidence of how your symptoms obstruct your daily living, and what alterations you have made to survive. Make sure documentation reaches your medical records. MOST IMPORTANT! When entering the appeals process, an attorney that specializes in chronic pain and invisible disorders is worth their weight in gold. The process is difficult at best and having the experience of someone who specializes in this type of law will help you evaluate if you have a medically determined disability, and they will know if you fall under SSDI or SSI. Theses specialized attorneys help you gather medical records as evidence, recommend physicians that specialize in evaluation of functional capacity, and other criteria necessary to win your appeal . They will schedule hearings, apply for back pay and many other things you would not have the knowledge to execute. If you have an attorney, you have a greater chance of winning than if you don't. They are knowledgeable on navigating the legal system and knowing what criteria is necessary to meet the Social Security Administration expectations. Disability attorneys are paid on contingency, only if you win, so their incentive to determine if you have a case is genuine. Rule #4 - Hire an appeal attorney that is familiar with chronic pain and invisible illness, you will be more likely to win your appeal. Chapter Seven, "Approaching the System Systematically” has all the information on what Social Security requires to make a determination. Fill out the questionnaires at the end of each chapter, keep track of all the tests and doctors and the results on the various forms provided. Have your primary doctor give you their narrative report; you will have your ducks in a row. Our publisher has given permission to copy these documentation tools for your personal use. I was shocked when I got a copy of my medical record from one of my specialists of 25 years. Unbeknownst to me, he consistently documented no changes in my medical record. I copied the “Residual Functional Capacity Assessment” (link at the end) and reviewed it with him. He filled it out signed it and put it in my medical record. He knew all the things they were asking, but many times physicians are not savvy, instead they run the other way when asked for their input. Reviewing your functional status is not only good for your medical record; it should be a periodic review for you and your physician, so you and he/she understands how pain and illness affects you. This is an easy tool to help everyone involved. Rule #5 - Don’t assume anything. Making the information available to your physician should be welcome and it helps you track your successes and failures too. The Social Security Administration's (SSA) wants to see how illness affects your ability to function and they want objective measurable criteria. They are looking specifically at your ability to function in the work force taking into consideration your ability to speak English, your age, your education and your previous work experience. Have you noticed a steady decline in the way you form words, transpose numbers, letters and words or have difficulty putting an intelligent sentence together? It can be frustrating and life altering. The work that once took us an hour now takes us all day, possibly days and needs to be broken down in small manageable increments. If you notice you consistently have to set a timer to remind yourself of something in 3 minutes, or leave items out as triggers to your brain to complete a simple task you used to take for granted, be sure you bring this up. A neurocognitive exam is in order. The exam will document attention, memory, recall, response to repetitive behavior, and how the results relate to others of your age, experience, and education. It should be administered by a forensic neuropsychologist who is known by the court, and they have tremendous credibility. It will be bitter sweet seeing the results in black and white. The psychological pain comes in having your disabilities validated, but it is also reassuring to know you are not off your rocker. Rule #6 - Brainfog? Get a neurocognitive exam. What is your cognitive-neuro score? Does altered sleep interfere with your ability to cope, if so, how? How long does it take you to prepare simple tasks? Do you have to have medical equipment to carry on each day? Are there days when you can’t drive and why? Are you able to lift, carry, stand, use your arms for long periods, if not, why? Are your symptoms affecting your relationships and how? Do you have other conditions that affect your pain and function? What adjustments have you made to accommodate your personal needs? These are an example of what the SSA is looking for, there are more in the book, but the idea is to get you thinking about how your illness and pain are affecting you. Write down each thing as you notice it. We evolve into this new person because we must, don’t lose sight of how your life is affected. I mostly talk about how to cope, and say putting such focus on these things is unhealthy, but this is the time you must. as unpleasant as it is. As I said before, the process is itself is difficult. The SSAs own doctors said I should not do anything that requires repetitive long term motion of my upper extremities and hands, (boy do I ever know that) and that I should not stand or sit for prolonged periods. This was THEIR doctor. Yet in my denial letter they suggested I get a job as a "doll maker." Obviously the system is overloaded. Don't stop, file an appeal. Rule #7 - Don’t give up. The Administrative Law Judge (ALJ) may ask for expert testimony from an independent source. Most of these experts do not have direct experience with invisible illnesses. 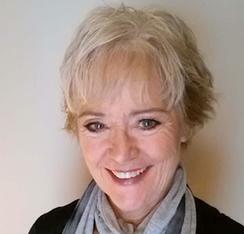 Most of us go months or years without a diagnosis and have difficulty finding THE doctor that knows how to diagnose our condition, so you can imagine what the ALJ’s “expert witness” knows about how our illnesses affect our lives, let alone our ability to stick to the regimented schedule of work duties. The laws protect us somewhat because the ALJ should give more weight to the opinion of the claimant’s treating doctor than to the opinion of one of their doctors. However, the judge’s expert witnesses have more impact on the ALJ’s decision when the claimant’s physician has not adequately addressed and documented key issues in your medical record. and set sail once more toward your coveted goal." 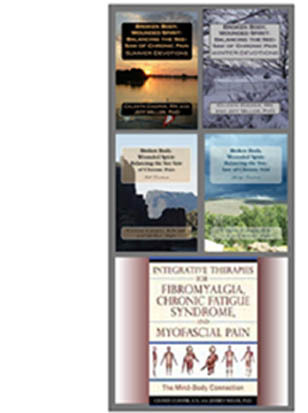 Each part of this blog is discussed in detail in Integrative Therapies for Fibromyalgia, Chronic Fatigue Syndrome and Myofascial Pain: the Mind-Body Connectionby Celeste Cooper, RN and Jeffrey Miller, PhD.